That's what you get when you come home early from a show with a bunch of CDs in your hands (ended around 23:30, which is very early according to my standards). Vertikal has been winning me over after the initial shock, quite a different album from them but still very good. I might review it if I get in the mood. 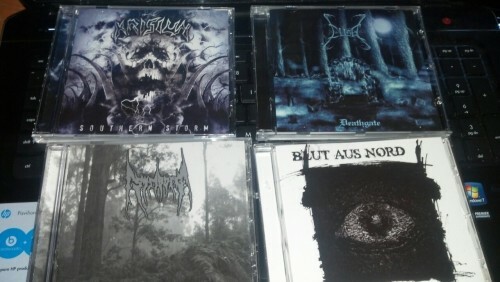 Now i am waiting for 5 china dsbm albums, and some other metal (Ixion, heretoir) to arrive. Yeah, the first half is brilliant but I'm not sold on the second yet. Going to require some more listens to make up my mind I think. I got mine from Fallen Empire. 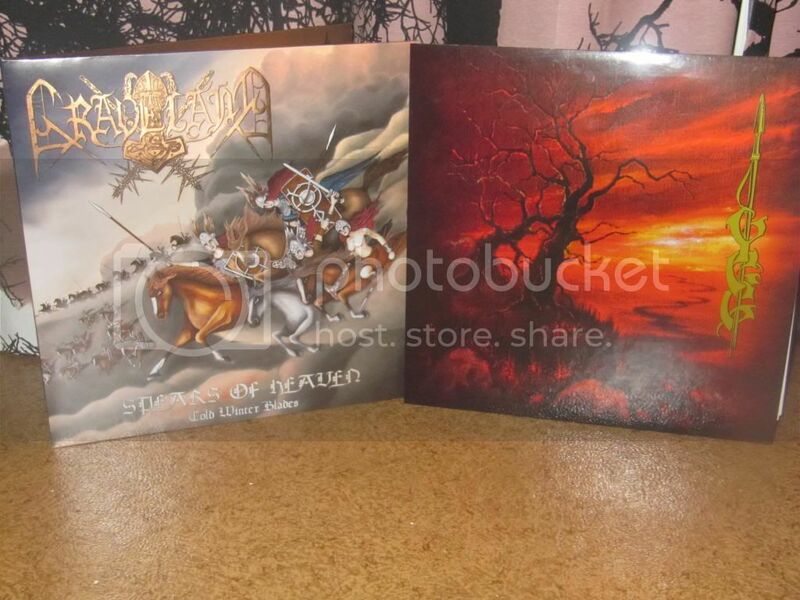 There are a few on Discogs as well, but no clue about Legion Blotan. I prefer the second demo myself, as the production is much better! Cool! The radio station where I have a show has one of these. I'm kind of surprised no one's stolen it at this point. Urgehal / Sarkom - Split Pic 7"
Sarkom - Exit Terra 7"
Impious Baptism - VANVDA 7"
Original 1977 pressing of my favourite Judas Priest record, Sin After Sin. 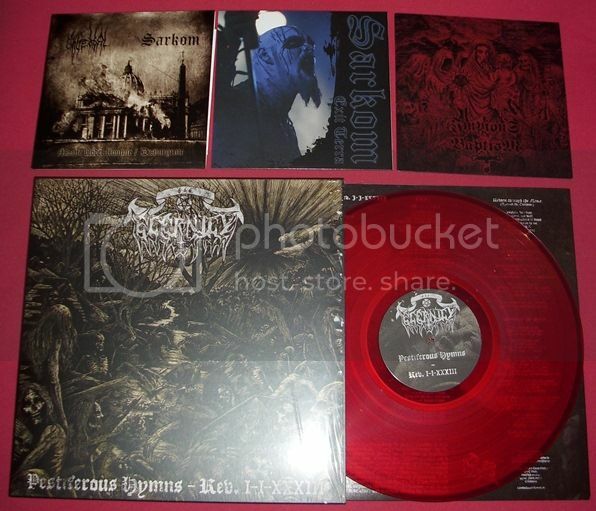 Primitive ManScorn, LIMITED EDITION 180 GRAM VINYL 12"
I have it too. I found it at an antique store, and unfortunately it the owner got it wet. The record is fine, but hey, it was very cheap. And more awesomeness came in yesterday... 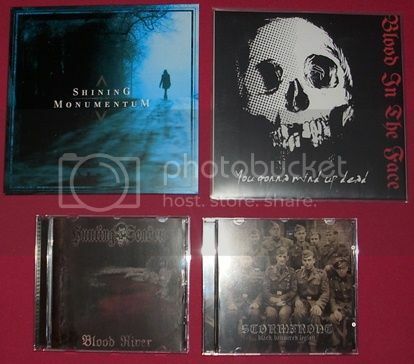 Some real beauty's among it..
And also an Infected Virulence cd. Picture i forgot to take.. Uh oh, Metal_Detector's gonna be here any second now. Please tell me you're re-issuing the Chemical Breath stuff next Marmer... hahah. Either way you win the thread with Chemical Breath and Abramelin first presses alone... you must have lots of luck or lots of cash! hahaha, Well im a collector, So sometimes you do some idiot things haha. And we are busy with getting Details straight with Chemical Breath and More bands.. I will open some kind of thread one of these days, With what we are doing. And more awesomeness came in yesterday... Some real beauty's among it. Guessing you wont be eating for a month after that little lot. I will add some more pictures of nice things that came in later today.. Please dont do it. haha. Ive been searching for them also for many years. and now found em at once together with Abramelin, Luciferion, Infected Virulence, Eternal Dirge and some other nice ones..
Because that's one of his favourite thrash metal albums of all time, and he shows up like magic whenever it's mentioned. What's that Triangulum tape like? It looks pretty interesting. 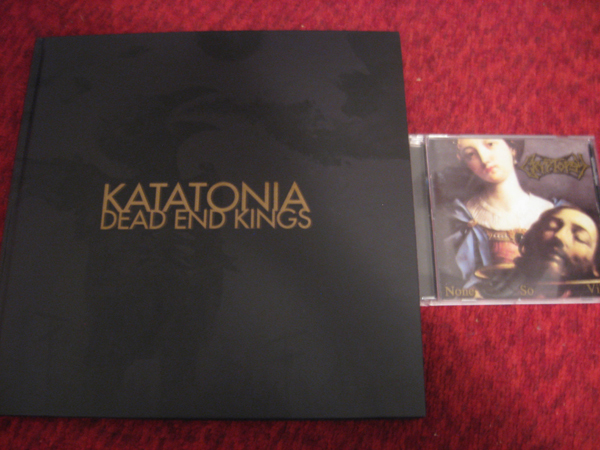 Eternal Dirge and some other nice ones..
Shining / Monumentum - Split 7"
Katatonia - Dead End Kings limited edition - grown on me since I last talked about it here. 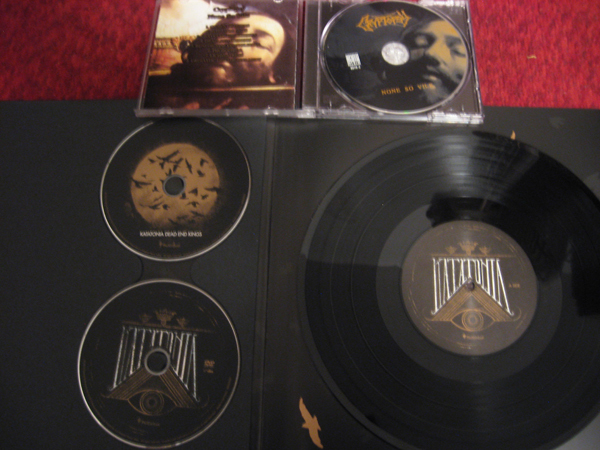 Cryptopsy - None So Vile reissue - What can I say it's just one of my favorite albums ever. Last edited by Harlequin_Fetus on Fri Feb 01, 2013 9:12 pm, edited 3 times in total. Should also have something arrive tomorrow..